All online gambling establishments that accept Instadebit offer incentives to both new and existing players either to draw them in or to keep them coming back. The best of these is free casino money that can be used in any way that you see fit. There are many different ways in which we can do this, but it's important for you to understand all of the options as well as the terms and conditions associated with them before you make any decisions. Perhaps the most lucrative offer on the web today is the promise of bonus cash without any deposit at all necessary. It may sound as if it is too good to be true, but it really isn't. What happens is that you're promised a certain amount, whether $5 or $50, to use in any way you want in exchange for downloading the software. The only catch is that you can't just take advantage of it and then process a withdrawal, and you can't even withdraw your winnings as soon as the funds have been used up. Rather, you'll have to meet some requirements which we'll discuss more in length later. The second most popular way to get free casino money with Instadebit casinos is with a deposit match. This is the most common offer found in venues today, and it consists of receiving a 50%, 100%, 150%, 200% or even 400% match of whatever you choose to spend up to a certain amount. Now, this can result in a pretty fat bankroll, and this may sound very exciting to those who are ready to make a small commitment. However, the terms and conditions associated with these offers should be understood completely or else you might end up a bit disappointed at the end of it all. 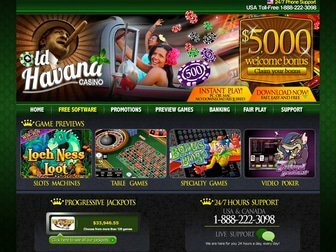 Free casino money is almost always going to be associated with wagering requirements, and these simply state that before you can withdraw anything you've won, you're going to have to spend a certain amount. If you take advantage of the cash bonus of $5, you might have to spend 30x that amount or a total of $150 to withdraw anything. However, if you took advantage of a deposit match, you'll need to spend about 25 times the amount you were given. So, if you got a $400 addition to your bankroll, 25 x $400 is a whopping $10,000 - and that's going to take some time. Finally, the last thing you'll need to understand is the difference between the terms 'cashable' and 'sticky'. Cashable simply means that once you've spent the funds provided to you by the establishment, they can be withdrawn along with your winnings. Sticky, on the other hand, means that the funds that were provided to you will be kept separately from any deposits or winnings. Then, once you've spent through it, it just rolls off. Again, you'll have to read the terms and conditions very carefully so you'll know exactly what you should expect when it comes time to ask for a withdrawal.